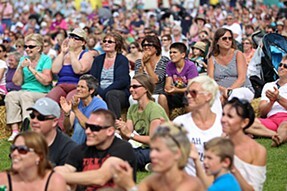 Woking is one of the fastest growing boroughs in Surrey, which hosts an established annual calendar of cultural events attracting in excess of 200,000 visitors per year to a range of free, family-friendly events. 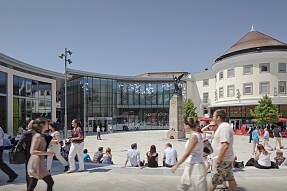 The borough has a rich heritage, great places and inspiring spaces to visit and enjoy, such as The Shah Jahan Mosque, The Lightbox, Surrey History Centre, The Muslim Peace Garden, Brookwood Cemetery, Basingstoke Canal, The Living Planet Centre, New Victoria Theatre, The Rhoda McGaw Theatre, Woking Leisure Centre and many others. Our popular calendar of events features two flagship events - Party in the Park and the multi award-winning Woking Food and Drink Festival - as well as a number of other cultural events, including Chinese New Year, Surrey Half Marathon, Pride in Surrey, Woking Drama Festival, Woking Music Festival, Woking Literary Festival, Diwali, Fireworks, Remembrance Sunday and the Christmas Light Switch On just to name a few. There is so much to see and do in our wonderful borough. Celebrate Woking looks forward to entertaining you with a cultural extravaganza of colourful and interactive events. Find out what’s on by viewing our events calendar.